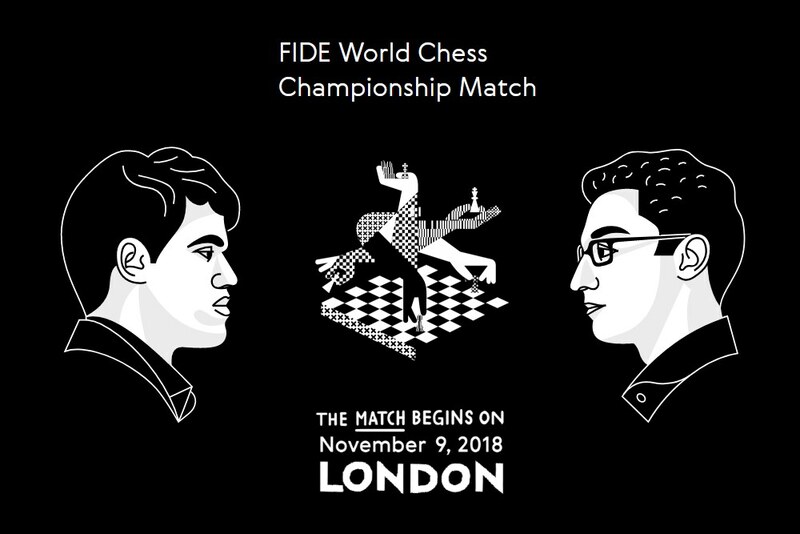 Caruana misses another opportunity… 12 draws? After more than a half-hour, 21.c5! was on the board to the delight of fans and commentators, but that excitement would be short-lived. Today’s game started off with the Sicilian Sveshnikov after 1.e4 c5 2.Nf3 Nf6 3.d4! cxd4 4.Nxd4 Nf6 5.Nc3 e5!? This would proved to be an exciting encounter and the famed opening promises an imbalanced game with plenty of play. Caruana essayed a more positional approach with 6.Nbd5 d6 7.Nd5!? Nxd5 8.exd5 Nb8 9.a4!? It almost cost him dearly. 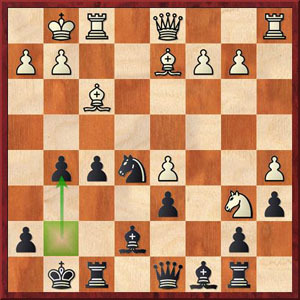 The game followed a few examples, but Caruana opted for 12.Bd2 with the idea of Bc3 at some point. 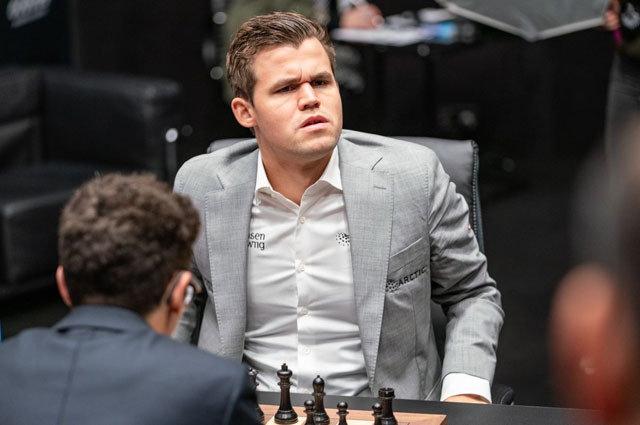 Carlsen lashed out with 18…g5?! raising the ire of commentators. None other than Hikaru Nakamura who cited Garry Kasparov as saying Carlsen typically doesn’t like such moves. Was this desperation? While black’s position looks menacing, it would become apparent that black was overextended. Win, lose or draw, this round would be the most exciting game yet. It was appear that we would finally get a decisive result. After the drum roll, Caruana played the crowd-pleaser. His 21.c5! had many merits, but the idea was to increase space, create a path for the d-pawn and simply threaten Bxe5 with steamrolling central pawns. The computer evaluation gave white as much as a two-pawn advantage. There is always the issue of getting a strong position, but knowing how to execute the follow-up. Many fans had their chess engine humming when Caruana played 24.h3? The engines screamed for 24.Rae1 when white has tremendous pressure. After 24.h3 (24.Qh5! still had promise) 24…Qe8! black was back in the game. Carlsen managed to get the queens off and the shook hands ten moves later. This was a disappointment for Caruana who has missed his chances. It appears that he has outprepared Carlsen, but it has been more than rattling off moves. He has confirmed the adage that one may have a computer, but still has to play the moves at the board. Caruana didn’t seem too upset and must be pleased that he is getting his chances, but time is running out for him to convert his advantages. Team Carlsen seems to be reeling and has not been able to get much with white. Tomorrow be a critical moment.